A National Endowment for the Arts grant recipient for harp performance, Mary may be the first harpist to perform in both The Cathedral of St. John the Divine, where she worked with composer John Cage, and the subway stop under Bloomingdales. Mary studied at Eastman School of Music and University of Oregon’s School of Music and has performed widely, including solo appearances at major music festivals. 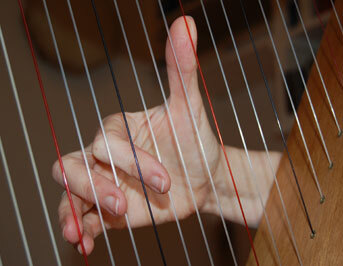 Mary has taught private harp lessons and workshops since 1988 and currently has an active private harp studio.